A corneal ulcer is an erosion or open sore on the surface of the cornea. The cornea is the transparent area at the front part of the eye that serves as a window through which we see. It also refracts light and offers protection to other parts of the eye. If the cornea becomes inflamed due to infection or injury, an ulcer may develop. A corneal ulcer is a serious condition that must be treated promptly to avoid lasting vision problems. Although good medicines are available for treatment, corneal ulcers can cause severe loss of vision and even blindness. Corneal ulcers are most commonly caused by germs. Although the human eye is well-protected by the eyelid and abundant tears, germs and bacteria may be able to enter the cornea through small abrasions if it is damaged. Corneal ulcers are common in people who wear contact lenses, especially if they wear them overnight. Generally, the deeper the cornea ulcer, the more serious the condition becomes. A very deep ulcer can cause scarring on the cornea, blocking light from entering the eye. Early diagnosis is important in treating corneal ulcers. Your doctor will ask questions to determine the cause of the ulcer. Your eyes will need to be examined under a bio-microscope, called a slit lamp. 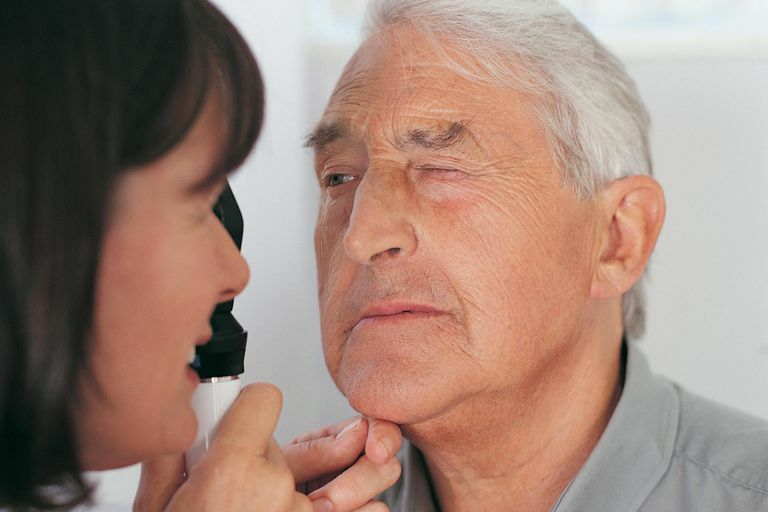 The slit-lamp exam will allow your doctor to see the damage to your cornea and determine if you have a corneal ulcer. A special dye, called fluorescein, will be placed into your eye to light up the area and aid in the diagnosis. If it is not clear what the exact cause is, your doctor may take a tiny tissue sample, or culture, of the ulcer in order to to know how properly treat it. After numbing your eye with special eye drops, cells may be gently scraped from the corneal surface so that they can be tested. Treatment for corneal ulcers needs to be aggressive, as some ulcers lead to vision loss and blindness. Treatment usually involves antibiotics as well as antiviral or antifungal medications. Steroid eye drops may also be given to reduce inflammation. Some doctors prescribe topical eye drops to be inserted several times per day until the ulcer is completely healed. In severe cases, patients are hospitalized so that the correct treatment is given. 1. Catania, Louis J. "Primary Care of the Anterior Segment." Second Edition, Copyright 1995. 2. Turbert, David. "Who Is at Risk for Corneal Ulcers?" Eye Smart, American Academy of Ophthalmology (AAO) 1 Sept 2017.